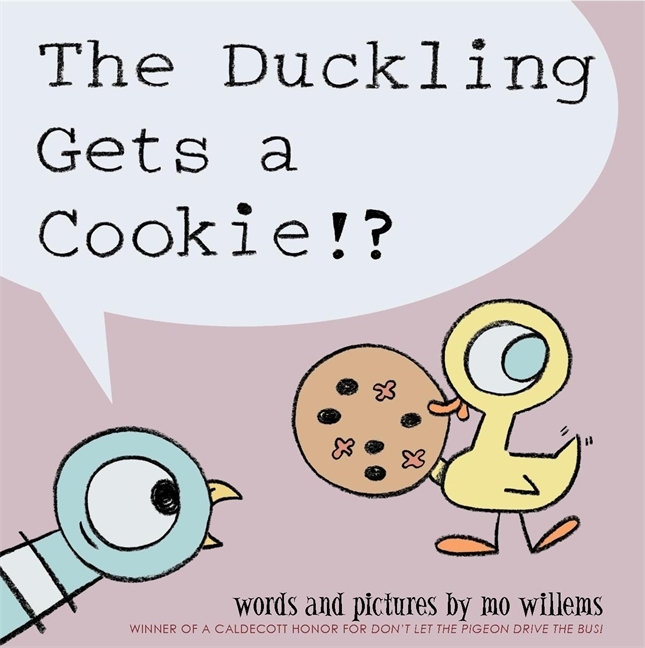 new picture book Duckling Gets a Cookie, our very own picture book editor Maria Tunney reveals a few of the many reasons why the world just can't get enough of the wonderful Mo Willems! But what is so great about a pigeon? Well, this pigeon has FEELINGS. A LOT of feelings. In fact, in many of the pigeon books, the Pigeon expresses a whole spectrum of raw emotions − confusion, anger, defiance, sweetness, total rage, sorrow − all on one spread. With his huge eyeball, big round head and wings that are somehow totally simplistic in drawing and yet utterly expressive (he curls them into angry fists, he places his wing on his heart in plaintiveness, he drops them to his side in play-innocence), Mo’s Pigeon encompasses all the melodrama that most 4 years olds and adults (hey, we’ve all had stroppy moments) muster on a daily occasion. Critics have said that Mo, as a writer and an illustrator, “understands the human condition” and the Pigeon books are a prime example. When refused a puppy in The Pigeon Wants a Puppy, the Pigeon says “Oh … I get it. You don’t want me to be happy, do you? You don’t want me to take a piggyback ride on my puppy!” Hands up if you can relate? We’ve all wondered why we didn’t get something and felt angry about it! 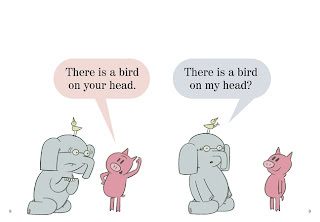 There is great truth in these books and that is why we really love the pigeon. Piggie: Today I will fly! Gerald: No. You will not fly today. You will not fly tomorrow. You will not fly next week. Piggie: I will try. Goodbye. These books are hilarious. 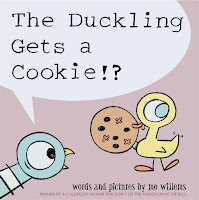 They make for the funniest read alouds and are the perfect chapter books for a little child who has just begun to read by themselves or for an adult to read to a child, laughing all along the way.